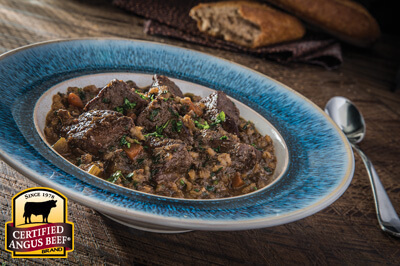 Well-trimmed beef, cut into 3/4 to 1 1/2-inch pieces that is covered with liquid and simmered slowly in a covered pot. Commonly cut from the sirloin but can come from any tender cut. 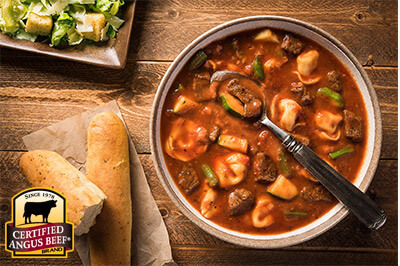 Beef Marinara and Tortellini Stew is an Italian twist to an American classic. 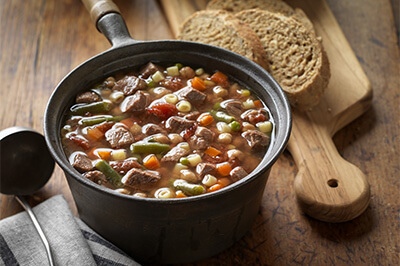 Feed a hungry crowd with this easy recipe for thick and rich stew loaded with vegetables and cheesy pasta. 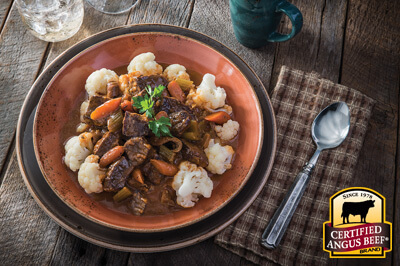 Season beef stew meat with salt and pepper. Add oil to 4-8qt heavy pan or Dutch oven, brown beef and onions in oil, about 5-10 minutes, or until onions are lightly browned. Stir in broth and marinara. Bring to a boil, reduce heat and simmer for 1 hour. Stir in beans and zucchini; simmer five minutes. Stir in tortellini; simmer an additional 8-10 minutes or until pasta is tender. Add additional salt and pepper to taste.